Green Leaves-10 Inch Podocarpus Ball. 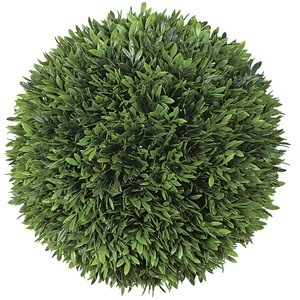 10 Inch Plastic Podocarpus Topiary Ball. This Topiary comes with 324 green leaves which looks lifelike Green Leaves. Looks beautiful in any home in a decorative container.